Good news. Just recently, SkyEye, Inc. got awarded with P750,000 support money through the Impact Hub Fellowship on Innovation in Mobility with LBC! This is good news because I'm a big fan of start-ups. My first job was in a startup company based in Singapore, my boyfriend has a startup company, and I plan to go that route as well (in the future). I applaud companies who support smaller companies, especially if the cause of the project is for the betterment of society. 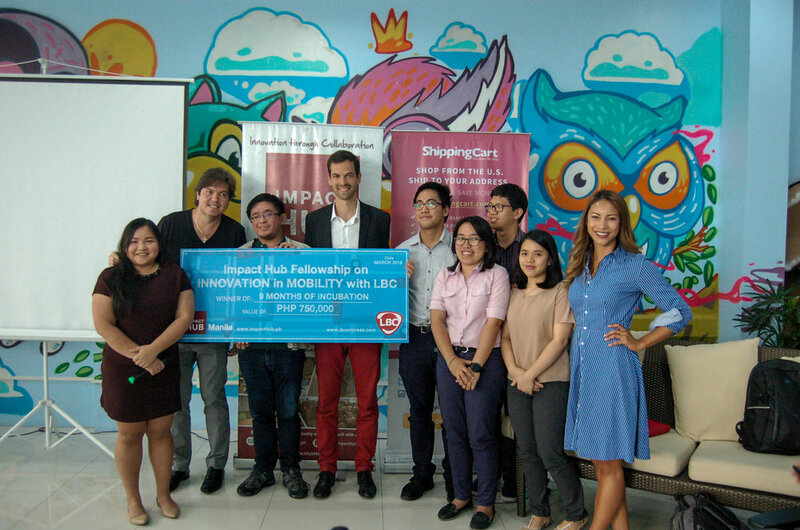 Impact Hub Manila and LBC saw the need for a new innovation to solve the problem of mobility here in the Philippines. SkyEye, Inc. was chosen because of their innovative approach, combining hardware, software, and highly talented people to create services to benefit the customers and the country. Through the Fellowship, we’ve seen SkyEye’s improvements first-hand, taking them to a stage where their company is ready to scale. As the winning team of the Impact Hub Fellowship on Innovation in Mobility with LBC, they will receive a grand prize amounting to P750,000, which includes seed funding of P320,000. Apart from the cash prize, SkyEye will receive continued support and development with LBC and Impact Hub Manila for the next 9 months. They gain access to a collaborative workspace, valuable local and global network, focused mentoring, and continued skill development worth more than P430,000. Aside from SkyEye, two other companies entered the 3-month Cohort Phase of the Fellowship, and also participated in Impact Hub’s KICK Incubation Program. Food Planner, are a post-harvest food processing initiative taking food direct from the farmers to the market. They are pioneering the production of dehydrated food products. Wave are a ride-sharing, booking, and social platform that acts as an affordable alternative for daily commuters and urban professionals. The teams were exposed to esteemed mentors and gained access to a global network of innovators as well as the local start-up community. We look forward to hosting more Incubation and Innovation Programs with excellent partners such as LBC, who are driven by innovation, and actively support and incubate start-ups and social enterprises such as these. -LizAn Kuster, co-founder of Impact Hub Manila. LBC was instrumental in launching this very first Impact Hub Fellowship. The partnership between LBC and Impact Hub exceeded expectations, since all three teams took big steps in refining their business skills and preparing the next phase of their respective companies. With their logistical experience and operational knowhow as the country’s chief courier service, LBC were at a pertinent vantage point to tackle issues of mobility and value chain management. LBC proves they are a company motivated by constant innovation, bent on empowering small to medium businesses. Isn't this exciting? Stay tuned since Impact Hub will launch more innovation, impact, and incubation programs in the future!